We’ve discussed the importance of SEO and SEO strategy here before. After all, SEO is critical to the success of most web projects, and it’s something we take seriously. Heck, you got to this page somehow. We have found that these modules help our super clean Drupal 8 theme with natural search placement with Google. 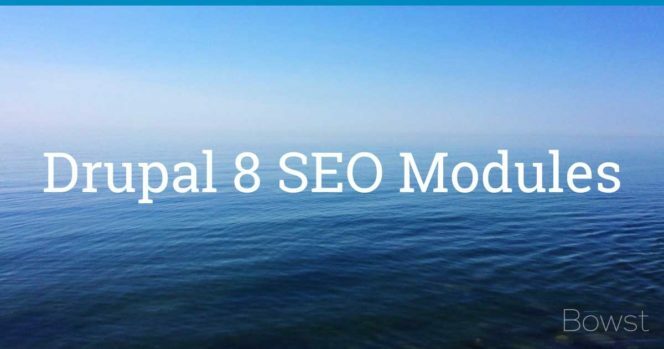 Here is a list of some of the essential Drupal 8 modules that, if installed and configured properly, will help any Drupal website do better in Google. We don’t like guessing games. What we do like is a module that creates a to-do list for making sure that your website has proper SEO, and that’s just what this does! By breaking SEO related tasks down into needs like “Title”, “Tags”, “Content”, etc, and giving you tasks related to each need, this makes sure that you are looking at and considering all of the ways you can optimize your site for SEO. It doesn’t build links. That’s your job! You want clean aliases for SEO, and Pathauto makes that magic happen by giving your URLS clear structure and easier readability, all of which makes search engines notice you. Basically, Pathauto automatically generates URL/path aliases for various content nodes without requiring you to manually specify the path alias. Drupal creates a clean path alias for each page on a site, but it ALSO creates a path using the page identifier, which means — you guessed it — multiple paths for the same page. This does not make for amazing SEO, so the Redirect module makes sure that only the CLEAN path is enabled. Otherwise, you’ve got multiple paths for a page, which makes the Google ranking algorithm very unhappy and causes you to get sandboxed. You do not want that, and we don’t want it for you. But wait! You didn’t think that was ALL Redirect does, did you? It also allows you to specify a redirect from one path to another so that if a path changes, or no longer exists, you can redirect to another (existing or external) path or URL and keep your visitors from getting a dreaded 404 error. Clean and streamlined — just the way SEO likes it. When talking SEO, usually “meta tags” refer to the meta description page and meta keywords tag that might help your site to climb to the top of a Google search. The Metatag module allows you automatically to provide structured metadata about your site, and also provides support for the meta tags that control how your content appears when shared on social networks like Facebook and Twitter. Get meta — we highly recommend it. Want to help search engines crawl your site and keep those results up to date? Look no further than the XML sitemap module, which creates a sitemap that conforms to the specifications put out by sitemaps.org. The sitemaps that are created can be automatically submitted to search engines like Google and Yahoo! ; to make it even more excellent, it comes with submodules that can add additional sitemap links for things like content, user profiles, etc. You don’t have to know how to pronounce “hreflang” in order to use this module, thank goodness. 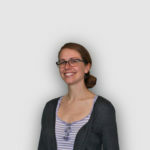 Since search engines use tags to pull up the correct languages or regional URLs in search results. In order to improve SEO, you can add hreflang tags to all of your pages with — you guessed it — the Alternate hreflang module. Easy peasy! 404 Not Found is not a friend to SEO. That’s where this handy module comes in. Instead of tormenting anyone with a 404, it searches the keywords of the URL and does a search for those so it can bring up the results of that search instead. Pretty cool, right? But listen, you don’t have to take our word for it. Search 404 was recommended by the folks behind SEO Checklist, and we’ve already established how much you need that. So go on and use this with your Drupal sites! Ah, schema markup. Everyone’s favorite sneaky-pete way of SEO. RDF UI allows you to integrate schema.org into your site and build content types and fields based on schema.org properties. We have used the Schema plugin on D7 sites but it is not ready for D8 just yet. Linkit provides an easy interface for internal and external linking with editors and fields by using an autocomplete field. Linkit links to nodes, users, managed files, terms and have basic support for all entities by default. The user does not have to copy or remember a URL. It is a sustainable solution for internal linking. It has a user friendy UI.